You may be approached by a web design company suggesting that your website needs an overhaul. How do you know whether or not this is true? Ask yourself the following questions to assure that you aren’t tricked into paying for an unnecessary website redesign. This is one of the worst reasons to redesign as website. Here are two reasons. 1) Your website isn’t “old” to new customers who find you. 2) Knowing what to expect when they return to your website, gives your customers a sense of comfort around your site. Think of your website as similar to a store you visit frequently. If the store, decides to do a remodel and change where things are located, how do you feel the first few time you shop after the change? Frustrated? You find yourself looking for someone who works there to redirect you to the right place. When a customer arrives on your redesigned website, unless your redesign is very careful and logical, it can create enough frustration to lose the customer. If you did the site right the first time, you don’t need to redesign your site. You may just need to tweak its look a bit. You can do this through three things: Content, color and fonts. The most importance of these is content. Am I considering a website redesign because I’m not attracting visitors? A good SEO strategy will attract visitors to a website. A redesign is worthless for improving SEO, unless it involves renaming pages with SEO enhancing titles. That’s not a redesign issue, it’s as SEO issue. Consider your website content before considering a redesign. It will accomplish more. Consider SEO assistance and content revision before taking the additional step of paying for a website redesign. While your site may not be laid out optimally for certain features that encourage customer action, these can often be overcome by great inbound marketing content. Am I considering a website redesign because I’m not seeing click through? This can be a valid reason for considering a website redesign. Some websites are so poorly laid out, the customer is confused as to what the page is about and what action the customer should take once he/she arrives. But often a webs page can be “redesigned” just b the content included on it. Keeping the message on the page direct and to the point, an invitation to learn more on another page, and the use of H1, H2 and H3 headers can accomplish much of what a redesign would be, for far less expense. Another important aspect of web page content is where the content focuses. Does it focus on the customer or the company? Re-focusing content on the customer can make a major impact on click-through rates. Am I considering a website redesign because I hope it will improve my image? Some websites do reflect negatively on the companies they represent. The content is sloppy. Broken links frustrate would-be customers. Yet, these are both issues that don’t require a redesign. Content can be replaced. Fresh pictures can be uploaded. Broken links can be identified and repaired. Clean up the existing site. These small upgrades can give new life to a website. There are so many good templates to choose from, that most websites really don’t have a major structural issue. Content is the #1 issue for most websites. Deal with that, and your often remove the need to redesign the site. Why and when to Redesign your Company website? Having a company means that one of your main responsibilities is to convey your business message to your client base. One of the ways to do that quickly and interestingly is to create a website, which represents your company values, ideas and competitive advantage. Your website may turn to be the most important place of business interaction as it shows the services you offer in a clear and accessible way and may be open to feedback and comments, if you have a blog, directly from your customers. However, having just any website is not enough. Technologies and design are constantly developing so if your website has not changed for the last years or sports a layout and design that look amateur or outdated that may lead to driving your visitor away. While sometimes being retro is a good thing, not done properly on the web may mean that you will be perceived as negligent and not caring about what is currently happening on the market. Great content is one thing, but it needs to be wrapped in a nice and pretty package in order for it to be noticed. Many companies simply do not pay attention to the activities in their website thinking that owning a website, no matter of the look, is enough, others are just happy with what they have and do not strive for more, while third are apprehensive of change. All these may seem reasonable and in line with “If it ain’t broken, don’t fix it” but sometimes there are cracks that will make you lose opportunities and potential new business connections and clients. Change is scary but most times, if you are thinking about it, you probably need it. Reinventing your web presence in no way means that you will lose your brand identity or will need to change your logo or vision. On the contrary, you may enhance the good and bring it forward. In addition, you may use it to promote a new service or product, new office or change in the status quo. All these reasons could be the push you need to rethink the look and functionality of your company website. Successful business is all about being unique but also being current. No one will want to buy your product if its presentation seems suspicious, out-of-date and shabby. When we go to the store we like the packaging of the products we buy to be new, untouched and shiny. The same is valid for your online representation. Customers need to know that you care about their experience so much that you want to offer them the best one so they will come back. Redesigning your company look is likely to give it a boost, to attract new clients and partners and to show that you are willing to invest in new and modern technologies. Do not let your excellent product or service be unnoticed because its image is not appropriate or attractive enough. With proper help from a professional webs designer team, you can achieve new highs in your business performance see the positive feedback from your visitors. http://www.wordpress-website-design.com/wp-content/uploads/2016/12/Strategy-Development-Goal-Mark.jpg 588 900 Wordpress website design http://www.wordpress-website-design.com/wp-content/uploads/2016/11/WWebsiteDesign_logo-300x73.png Wordpress website design2016-12-18 06:29:332016-12-16 11:15:30Why and when to Redesign your Company website? Website Redesign is all about redesigning your website so that it gains a distinctive look and feel. It ensures that your website is equipped with better features for better performance on the Internet. As a website owner, you would have realized that websites are in constant need of redesign to make it more attractive and meaningful to their target audience. So, of you are an individual, or a company looking out for a website redesign, it is advisable that your follow a well structured plan for this purpose. Perceptions keep on changing and what was great yesterday might not hold good today. For example, a static site was the norm until recently. Now people admire sites with videos and dynamic content. Visitors today went websites to be engaging and capable of capturing their attention, else they do not hesitate to move on to their competitor’s site. Therefore, website redesign will help visitors retain their attention on their site and ensure repeat visits. To begin with redesigning your site, you can easily evaluate your current site’s strengths and weakness to determine how successful it has been with the existing design. You can get an honest evaluation from people who are close to you about your existing site. From the report that you prepare, you can write the goal you intend to pursue for redesigning your site. Regarding the new design, you can brainstorm with your team and make a note about the ideas that you generate from this process. To proceed with the redesign, you need to know why people visit your site and what impact will the redesign have on your visitors. The redesign should be such that you get more traffic to your site and an increase in the sales. It also should be able to grab the attention of visitors. They need to bookmark the site so that they can come back for later purchases. At this juncture, it is also important to research competitors and get inputs about what’s current on the market. You should also obtain about the most current webs designs and communications concepts that are prevalent these days. At the same time, you should also understand that all these design changes and concept implementations should be applicable to your target audience. You should understand that by redesigning your site, your target audience should increase and not vice versa. The best way to go about this is to know how your target audience thinks about your website. Will website redesign impress your target audience? If not, how should you redesign your site to make it impressive? Redesign your site with the right look and feel. Thus, the website should be able to communicate the rights thoughts and theme to your target audience. If you want a professional look, see that it does not communicate an academic look instead. Also make sure the content provides readers with information and assists them in decision making. So, while redesigning a site, make sure that you get a good writer to generate meaningful and relevant content for your site. After the redesign process, just check that you website is able to make the customer take positive action and make an informed decision. Finally ensure that a professional redesign company with the right experience and talent in the field undertakes your website redesign project. Rather than handing over the redesign to a one-man company, ensure that a professional team does that the redesign. Your website is your ticket to the Internet. Ensure that it is kept profitable and that your online venture is a thorough success. Employing professional programmers, coders and designers to create custom built websites, code specific applications and functionalities and design attractive and relevant WordPress themes has, in the past, been a potentially prohibitively costly service that many new start up websites can not begin to afford. While it is true that there are generic templates available, especially for WordPress, a generic website will put many potential customers off your website by appearing less eye catching, failing to promote brand recognition and in some cases appearing less trust worth than custom built sites. Fortunately, as the need for cheap and affordable web development, coding and WordPress themes has risen dramatically in the age of ecommerce, studios of hundreds of professional qualified programmers are available to fill all sorts of requests with unique content and reasonable turnaround times. Especially prevalent in the current market place is WordPress. WordPress is valued for its ease of use, low bandwidth requirements, and the large amounts of support freely available to new users. Even better, a professionally developed WordPress document bears very little or no resemblance at all to the generically mass-produced templates that are common on commission and affiliate-less blogs all over the Internet. While it is great that many not for profit blogs and sites can start up without having to pay for any sort of development at all, a website that intends to generate the sort of traffic required to begin making any sort of real money will be much more successful if it makes use if a custom made design. Custom coding and further web development prices depend entirely on the applications and functionality required. A website that wants to implement simple and common ecommerce features will benefit greatly from utilizing a custom designed checkout and sales system that runs on a premade structure of sales communications to stand out from the crowd and further increase brand recognition among customers. Complex and esoteric features can vary widely in price depending on a large number of factors. It is best to get a quote from a WordPress bespoke website design company before creating a site that relies on unusual features. Custom WordPress design is something that can help your business in many different ways. Most people think of WordPress as a blogging site or tool but it can be even more than that if you know how to use it correctly. WordPress is one of the leading content management system (CMS) out there today. With thousands of themes or templates to choose from, you’ll want to set yourself apart from the rest by having a custom wordpress design. While getting a custom theme is as easy as going to Google, it’s not as easy to add your own content and graphics to it. This is where having someone make you a unique WordPress design comes in very handy. It doesn’t matter if you have nothing at all or you have all the content already. Hiring someone else to tackle the projects is a major stress relief. You can get what you want how you want it without the hassle of figuring it all out yourself. Having a custom design also shows that you are different from all the other people out there who just buy a theme and use the standards settings. Customizing it to fit your needs elevates your site to the next level. Even if you don’t want a blog on your site. WordPress is a great stand-alone website system that makes organizing your content a lot more simple. Take the time to do some research into what type of theme you want and once you settle on one you can feel relieved knowing that you can hire someone to customize it exactly how you want it. These are the most common things you can change when you buy a WordPress theme and something you should ask your designer about changing. If you like a specific thing about the theme, then make sure to bring that up to your designer. One thing that’s important to remember is that all themes are different. To get the most out of your purchase, you may want to hire a designer first and then have them recommend themes based on what you are looking for. Either way, you will be able to get yourself a nice custom WordPress design to help grow your website. Why do you need a Professional Coder for converting your PSD design to WordPress? You will find a lot of PSD to WordPress tutorials online. And each one bets that it will get you covered. But can you really convert a PSD to WordPress theme by following a tutorial or a definitive guide? The answer is a ‘NO’. All these tutorials give you a general idea about what it takes to convert a PSD design to WordPress. But none of them dive you into the practical details and design implementation that is required to convert a design into a WordPress theme. With these tutorials, you just get to scratch the surface. The first step on conversion of a PSD design to WordPress is slicing the PSD. For that, you need to have a good command over Photoshop. As a next step, you need to create the markup. For this, you need to have a good knowledge of HTML and HTML5 (as of today). You need to learn about the HTML tags, but that’s not all. You also need to know about semantic markup and microdata so that your content is deciphered by search engines in the same context as you want to present. Having a fair knowledge of HTML and CSS doesn’t suffice. For creating a theme in WordPress, you need to be a master at PHP and WordPress. Read : Why converting your PSD into WordPress templates is the smartest choice? What are action hooks and filter in WordPress? What are the template tags? Hot to create a theme in WordPress? What is functions.php and what is style.css? WordPress is itself coded in PHP, so to use WordPress you need to be well-versed with PHP. For a simple PSD to WordPress conversion, you need to learn all this. You also need to follow coding best practices, so that your code goes through W3C validation and works across browsers. You need to have a fair idea about on-page SEO, so that your website starts ranking in search engines. You need to have a fair idea about user experience, website performance and caching. You need to know a hell lot of things. Are you still interested in converting that beautiful PSD design into WordPress all by yourself? http://www.wordpress-website-design.com/wp-content/uploads/2016/12/Professional-Coder-for-converting-your-PSD-design-to-WordPress.jpg 499 900 Wordpress website design http://www.wordpress-website-design.com/wp-content/uploads/2016/11/WWebsiteDesign_logo-300x73.png Wordpress website design2016-12-16 06:39:532016-12-14 10:27:34Why do you need a Professional Coder for converting your PSD design to WordPress? Today, in this competitive web world, it is important for an internet marketer to have better online presence, which is now possible with an effective PSD to WordPress conversion. 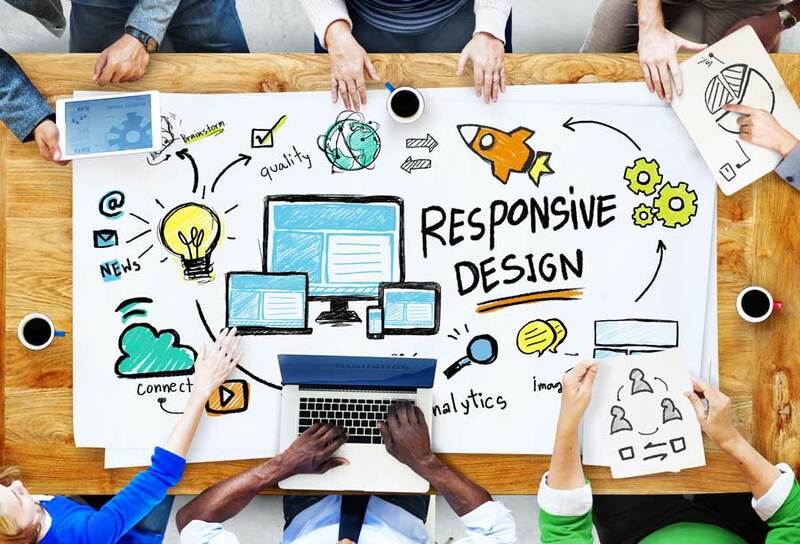 Reliability and accessibility are the key aspects that make a website more interactive. PSD to WordPress is the powerful solution that comes up with the most amazing features. The transformation of Photoshop design into WordPress is robust tool, which focuses on the credible process of creating the semantic code for the website. PSD to WordPress conversion is required to enable a website to be executed on the browser. This conversion plays a crucial role in web development project as the overall performance & success of a website depends on it to a large extent. A perfect conversion gives the users an opportunity to switch themes and add value to the site. at present times, customization have become a reality that goes well with the user requirements. This conversion brings a lot of benefits to give new heights to a website. WordPress is freely available software, which is easy to use and navigate. The entire process of conversion turn out to be economical and cost-effective. It is beneficial for all the businesses, especially small and medium-sized, who are marked with small budgets and greater aspirations. WordPress helps you reach maximum potential customers without investing much amount. Customizable themes give a unique look to the website. PSD to WordPress conversion provides the scope to link your website with the social media profiles, so that you can easily enhance the traffic for your site. Even, it provides an option to add newsletter, online payment systems and contact forms to occupy the visitors and get review. People get the opportunity to choose the themes according to their unique requirements. WordPress is compatible to all major social media sites such as Facebook, Google+, YouTube and others. SEO- compatibility can be one of the reason behind growing popularity of PSD to WordPress conversion. Developers strictly follow SEO- semantic coding standards ensuring that each and every element in the website is properly organized. With the systematically arranged and optimized coding, the website gets easily read by the search engine crawlers. The developers ensure that the website get maximum possible traffic on various search engines by using appropriate keywords and tags in the backend. This conversion enables a website to be accessible on all the major web browsers, which in turn increases conversion rates. Moreover, it gives the users a wonderful browsing experience regardless of the browser on which the website is being viewed. W3C validation is also one of the major advantages offered by WordPress conversion. Along with the W3C- compliant standards, an error-free & well-structured site is delivered that works well on all the parameters. Hence, opt for PSD to WordPress conversion and avail the benefits that come along with it. Earlier, website development and designing was a complex process involving too many processes and steps. First we should have a PSD design of the website, and then it should be encoded in a powerful markup language so that it can be launched in a browser but now all theses can be done hassle free using WordPress conversion. So let’s discuss what WordPress is. WordPress is a popular and powerful open source CMS that provides a lot of flexibility and so many additional features to be added in your website. PSD to WordPress conversion is a highly advanced technology and is also very user friendly. It’s very easy to update, install and import files and helps in the smooth operation of the website. Easy installation and up gradation. Due to all these facts and features, the demand for conversion of PSD to WordPress has increased a lot. A professional WordPress developer can be hired for the conversion of PSD to WordPress. An expert will surely have the skill to efficiently convert PSD to WordPress according to our requirements. While you go for hiring a developer, make sure that the conversion is done in WordPress 3 template. WordPress 3 is loaded with many sophisticated features to boost the performance of your site. Not many are offering the conversion in WordPress 3. So you have to make sure about that. Also confirm that the service provider you hire has the required skill and expertise to do the conversion. The conversion will be good only when done efficiently. We also have to track the Profile and portfolio of the service provider to know about the industry experience. Quality and time factor also is important. Now that you have an idea about conversion of PSD to WordPress, its possible for you to choose upon a service provider easily who can create the website according to your needs and requirements. Why converting your PSD into WordPress templates is the smartest choice? WordPress websites are SEO friendly by default, so search engines find it easier to index its content. You can focus on the content of your website rather than its underlying technical details. In order to work well on all these devices, you need your site to follow modern web standards. WordPress provides W3C validation, so you can be sure that your site renders perfectly across all types of browsers. Most importantly, since WordPress is the most popular website development platform, there are many more services for conversion. You will find that converting your PSD to WordPress is much cheaper than other platforms. Also, adding more features to your website can be done with free plugins. If you need even more specific functionality, you can hire a service to develop an additional plugin for you. Why should you hire a professional to convert PSD to WordPress? WordPress has been created in a way that ensures the entire site and the process of building your very own website is simple and user friendly. Being one of the most popular Content Management System, it is also one of the best – if not the best. They let you customize your site entirely and therefore, you can build your site from scratch as you wish. Instead of wasting time converting PSD to WordPress, if you hire a WordPress theme designer, they would be able to do the job for you. They would not just complete it faster than you would, but since they’re doing it; you don’t need to worry and would have time to concentrate on other aspects of your website such as: creating content, finding things to sell and much more. If you do it yourself, and if you’re not familiar with the process, you may end up formatting the page awkwardly and even reduce the readability of your website. Therefore, in order to provide your visitors and customers the best user experience, you should hire professional WordPress theme designers as they would know exactly how to convert your selected PSD to WordPress. WordPress theme designers are familiar with various coding languages and therefore, utilizing each of them they can give you the best. If the coding isn’t done well, the website won’t perform either. Therefore, the PSD to WordPress conversion needs to be done correctly, else it would lead to various problems in the management and application of your websites Content Management System (CMS). If you can do it yourself, you need to make sure that your PSD to WordPress conversion provides your website with a customizable widget sidebar. Because, every website would need some widgets such as news, polls, updates and so on. Therefore, if you can’t get this right, don’t hesitate to hire a WordPress theme designer instead. http://www.wordpress-website-design.com/wp-content/uploads/2016/12/PSD-into-WordPress-templates-is-the-smartest-choice.jpg 641 900 Wordpress website design http://www.wordpress-website-design.com/wp-content/uploads/2016/11/WWebsiteDesign_logo-300x73.png Wordpress website design2016-12-16 05:58:302016-12-14 08:34:05Why converting your PSD into WordPress templates is the smartest choice? The WordPress content manager is an impressive SEO equipped tool to add into any new website or put in an existing website. WordPress will allow you to add to your site content at any time. Photos, edits, updates, calendars, and blogs may be added through the administration section of your WordPress focused website with ease equal to that of writing an email. The WordPress admin side offers an easy “what you see is what you get” format. It is easy to operate and makes your website content editable without using the “web guy” again or being charged monthly fees. In normal circumstances your navigation buttons can be modified, deleted or added to together with your pages. For example, if you needed to include add “about us” button, you simply design a page named “about us” and WordPress will automatically create a new navigation button. Search Engine Friendly WordPress is also very friendly to Google so if appearing on Google’s first-page search results is necessary for your business then WordPress is the answer. WordPress has a free plug in for almost everything that you could imagine, all absolutely free. For example if one has no knowledge about HTML coding, they can still insert keywords that Google can read and Meta info using the All-in-One-SEO plug in. This just shows how simple the “SEO” part of WordPress is to, complete. Enter your descriptions and keywords in the admin side. And WordPress will do the rest. The code is then automatically formed and all your keywords readable by Google. The search engines will now most likely rank your blog or page on top in their search results. There are no limitations for Versatile WordPress. It can do just about everything. You can include Flash, e-Commerce shopping carts, music, video, online forms and downloads with a WordPress-focused site. WordPress gives upgrades several other template-style “do-it-yourself” website designers do not. These other designers trap you with low prices but force you to begin from scratch when you need an upgrade for the site, since most of them cannot be expanded.
. Do you want your website to rank well on search engines in order to for it to act as a tool for marketing?
. Do you want your video clips including?
. Do you want to create “slideshows” for your pictures for on one or several of your pages?
. Will you do online trading from your site?
. Do you need interactive forms that people can fill out (contact forms, etc.)?
. Do you have your own company logo, branding and colors or will you require of us to produce them?
. Which website do you appreciate that way they look or feel?
. What is your budget for the project? Finding the correct designers for WordPress websites is a challenge. So too is it challenging to find a professional and affordable SEO content writer. Nevertheless, it is ideal to utilize services that offer both content creation and website design. When it comes to starting an online business, a professional content and web design service can help to increase a website’s visibility in search engines such as Google and Yahoo; organic SEO ranking is key to e-business success. Finding good WordPress website designer can drastically help your e-business. This web designer can create a WordPress site that is attractive and has a high search ranking. Avoid designers that try to sell Dreamweaver and Flash. This is for the simple fact that the two pale in comparison to WordPress especially, when it comes to search engine rankings. In addition, flash sites, white they may look fancy, slow web page loading times. People do not want to wait half a minute to watch an animated cartoon or figure. Furthermore, search engines are unable to read Flash and this is it’s a major problem. If you feature the bulk of your prized content is Flash, your website will not be indexed. This is because the content will appear indecipherable in Google. WordPress has content plug-ins similar to Flash. However, those in WordPress can be read in Google’s search engine. In your quest to find the best WordPress website designers, look for a freelancer who can create the most attractive and functional websites, which rank high in Google. Such professionals know how to tweak the code to ensure that it is search engine optimized. If the indexing occurs early on, your site will be more able to reach the top of the search engine results page (SERP). A good number of individuals owning a domain name for the very first time are not aware that few designers also offer SEO content writing services. Instead, they are responsible only for the design. These two areas ought to work together in one service to provide excellent SEO content that can fill up your website pages, effectively providing you with article marketing campaigns that will help improve search visibility.